Imagine waking up to see the bodies of your teenage children shown on your TV screen. Following the kidnapping and murders of three Israeli teenagers near the Palestinian city Hebron, last night retributive violence broke out across the West Bank. At least one Palestinian teenager has been shot in Jenin and others injured after two homes were set on fire or attacked by the IDF. The IDF launched air raids into Gaza in response to rocket fire from the region, they said. Since the three Israeli youths were kidnapped, five Palestinians have already been killed, with more than 400 people arrested and thousands of homes searched. This is the daily reality for Palestinians and Israelis. 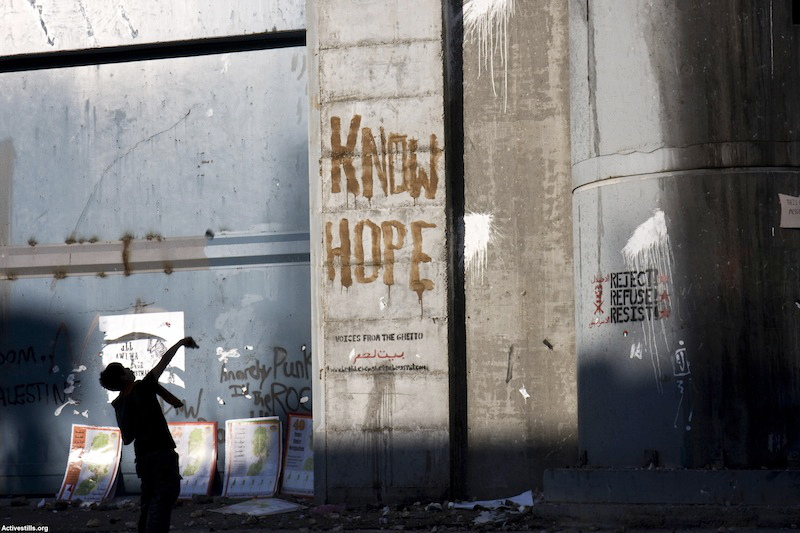 This photoessay begins our new series on transforming the conflict between Israel and Palestine through the personal and political dimensions of struggle, resistance and reconciliation. Palestinian farmer and activist Muhammad Amira climbs a ladder next to the separation wall to watch over Israeli soldiers arriving to open the agricultural gate in his village, Ni'lin, in the West Bank. After the building of the wall in Ni'lin, many farmers were separated from their agricultural land. 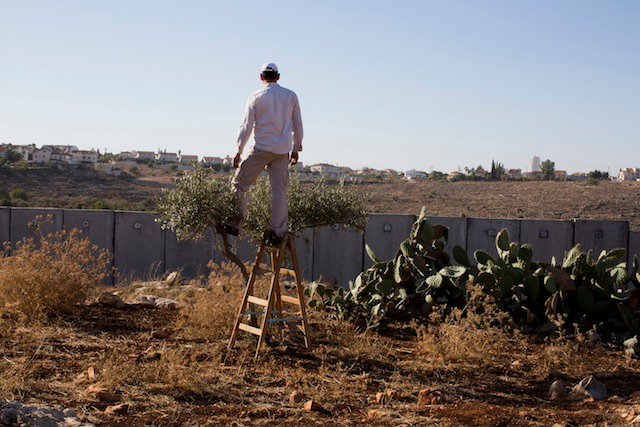 In order to work on their land, they must apply for wall-crossing permits from the Israeli army. Credit: Keren Manor/Activestills.org. All rights reserved. 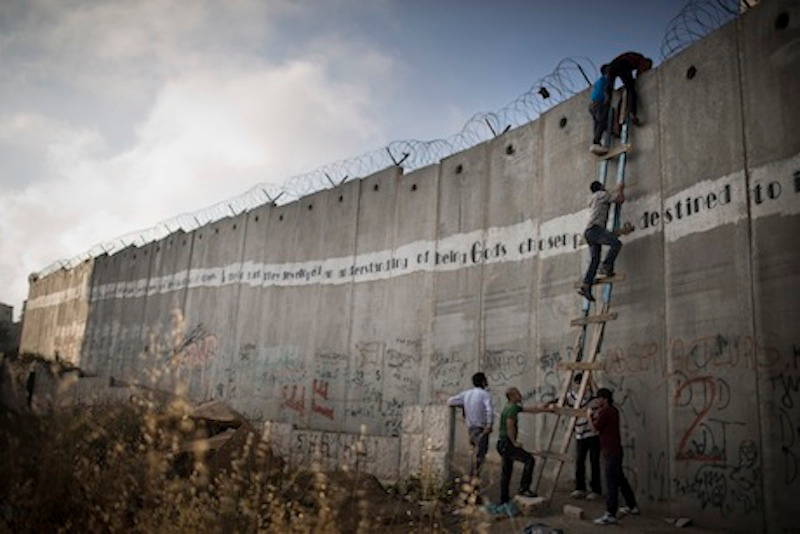 Palestinians climb over the separation wall in A-Ram, north of Jerusalem. They are on their way to Jerusalem's Al-Aqsa mosque to attend the second Friday prayer in the fasting month of Ramadan, 19 July 2013. Credit: Oren Ziv/Activestills.org. All rights reserved. 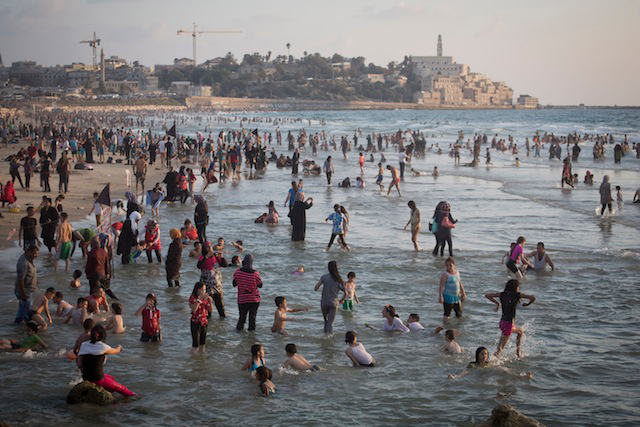 Palestinians from the West Bank enjoy the Tel Aviv sea on the last day of the Eid-al-Fitr holiday, August 11, 2013. The three-day Eid al-Fitr holiday marks the end of the holy fasting month of Ramadan. Permits have to be granted for Palestinians living in the West Bank to visit Israel. For many, this is the only time of the year they can enjoy the sea. Credit: Oren Ziv/Activestills.org. All rights reserved. A Palestinian child seen near the separation wall in the West Bank city of Bethlehem, December 28, 2007. Credit: Anne Paq/Activestills.org. All rights reserved. 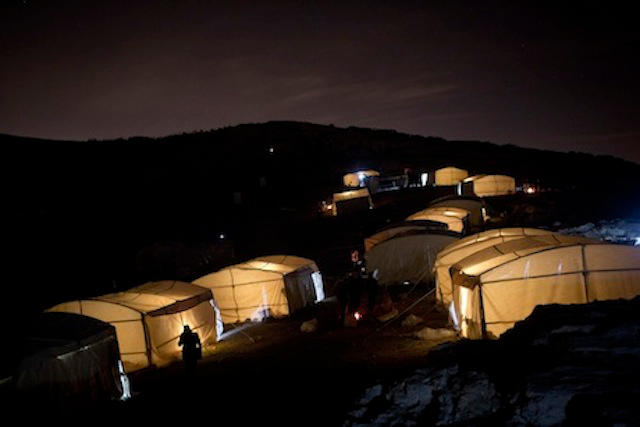 The Palestinian tent camp "Bab al-Shams" - Gate of the Sun - being constructed by the Popular Committees in the 'E1' area, West Bank, January 11, 2013. Built to protest the Israeli occupation and planned construction in area E1, the camp held 25 tents and gathered media attention for 48 hours. It was evacuated by Israeli forces on January 13, 2013. Credit: Oren Ziv/Activestills.org. All rights reserved. 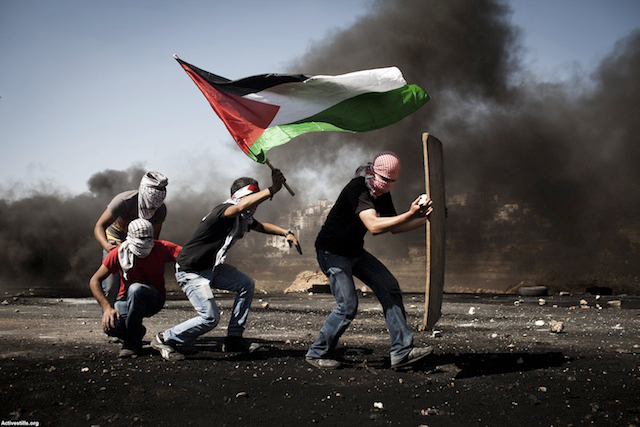 Palestinian youth walk through tear gas towards Israeli soldiers during clashes following a Nakba Day protest, outside Ofer Military Prison near the West Bank city of Ramallah, May 15, 2012. Credit: Oren Ziv/Activestills.org. All rights reserved.